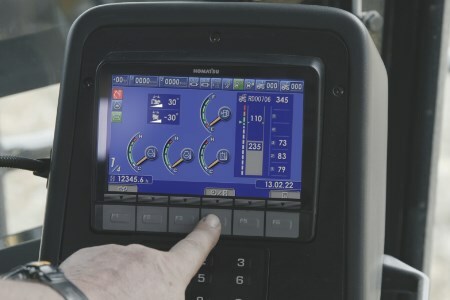 April 8, 2019 - Komatsu and MineWare are officially launching their first factory-fitted payload management system, Argus PLM, at Bauma 2019 trade fair in Germany on April 8. The system provides mining personnel on and off site with greater production visibility and performance benchmarking data to monitor, take action and understand how to improve the machine’s productivity. Komatsu is the first OEM to deliver an in-cab payload management and guidance system, fully integrated with the excavator’s own operating system. Argus PLM will be available on all new Komatsu PC7000-11 models.